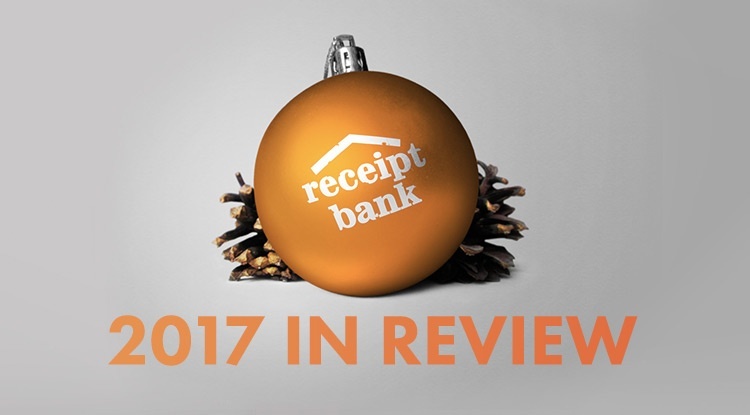 2017 has been a huge year for us here at Receipt Bank: we completed a very successful Series B funding round, expanded our international presence and brought some incredible new leaders into the company, to name but a few highlights. In honour of the year that’s been, here is our 2017 in numbers, people and moments! From the very beginning, Receipt Bank has been powered by people just as much as technology. In 2017 we’ve been securing some of the world’s top talent to bring the effortless bookkeeping revolution to more people than ever. Cecilia joined in February as a Product Owner, which means she is in charge of perfecting our advanced Custom software. “My favourite thing about working at Receipt Bank,” says Cecilia, “is everyone’s spark and enthusiasm! As well as there being lots of achievements and celebrations. Mustafa also joined in February, as the manager of our workflow visibility tool, Practice Platform. Aurore came onboard a little later, in June, as part of our further expansion into the French market. My favourite thing about Receipt Bank is the international dimension of the company and all the team spirit that goes beyond cultural differences." says Aurore. "My biggest challenge has been launching marketing activities in France - a new area for Receipt Bank." Aurore's description of Receipt Bank's 2017? "Amazing, fulfilling and challenging." There were so many moments that made this year special, but if we were to pick out just a few – and we will – then these four milestones make the cut. Starting off the year strong, we managed to get a place on the Future Fifty programme, the only programme for late-stage digital tech companies in the UK. Essentially, Future Fifty acts as a peer network, within which members can trade expertise, create opportunities and establish a stronger profile. In hugely exciting news, June saw us score a US $50 million investment from leading global private equity and venture capital firm, Insight Venture Partners. Adding to our 2016 Series A funding of $10 million by Kennet Partners, the investment was a landmark achievement for us. It was a great honour for us to come in at #10 in the Sunday Times Hiscox Tech Track 100, a league table of the fastest growing tech companies in the UK. The award was representative of the huge growth we've experienced in recent times, and as our co-founder and CEO, Alexis Prenn, commented at the time, "This is the tip of the iceberg and the potential for this exciting business will continue to grow." Only two months later, we came in at #7 in Deloitte's UK Fast 50, another ranking of the fastest growing UK tech companies based on revenue growth over the last four years. It was the perfect way to close out the year in style and build up excitement for the next! It's not quite the end of the year yet, and we've still got plenty to do before 2018 rolls around – we're sure you do too! Of course we have to thank our brilliant partners, for believing in our vision of effortless bookkeeping and sticking along for the ride. May 2018 be bigger and better!